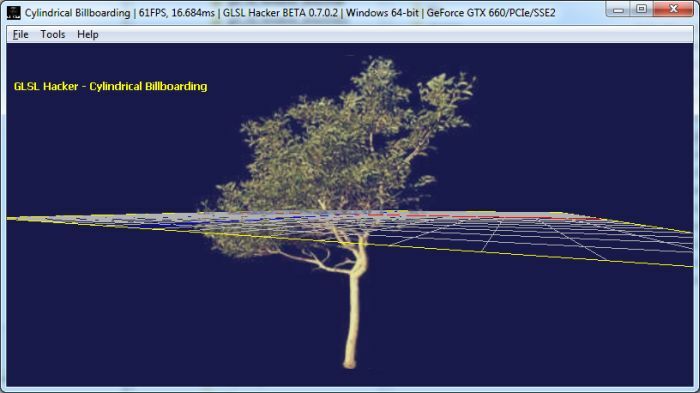 For the particular case of particles, the billboarding is a GPU built-in feature when point-sprites are used (a single point is transformed to a billboarded quad). 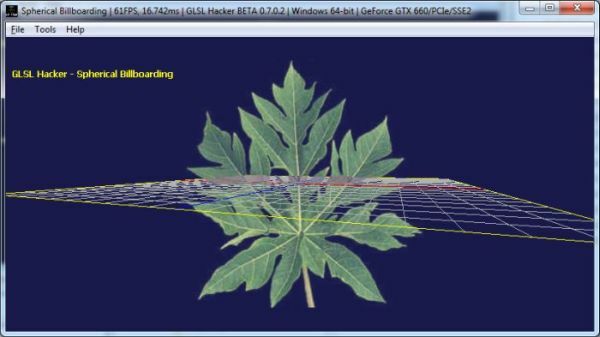 The rest of this article will show two simple techniques (spherical and cylindrical) to do billboarding in the vertex shader without point-sprites. 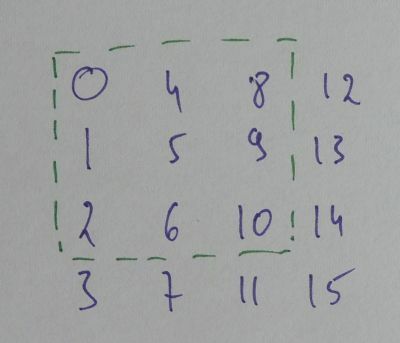 where mat4 is a GLSL 4×4 matrix. Spherical billboarding makes the object to always face the camera no matter the position of the camera on an imaginary sphere. Cylindrical billboarding makes the object to face the camera only when the camera looks at the right or at the left. GLSL Hacker demos about billboarding are available in the host_api/GLSL_Billboarding/ folder of the code sample pack. You can find more shaders in the Shader Library. Great!!! It works like a charm!